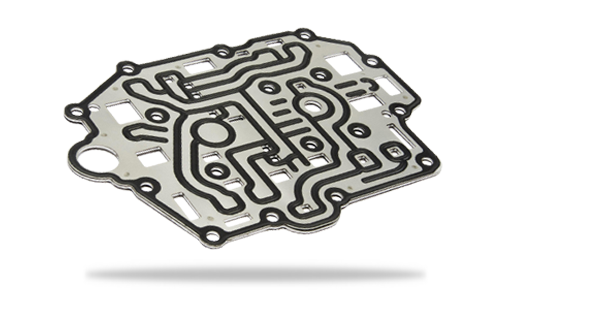 Dana’s multi-layer steel (MLS) transmission separator plates are capable of withstanding three times the sealing pressures of current products in the light-vehicle market. This technology also allows optimized channel paths and smaller valve bodies through the reduction of fasteners that can interfere with desired flow paths. With this technology, we substantially increased valve body sealing for high-performance transmissions to more than 80 bar and helped automakers eliminate leak paths.